Technology in the legal world is funny business. We don’t pride ourselves on being on the cutting-edge or at the head of the line (or the upper middle) for upgrades. 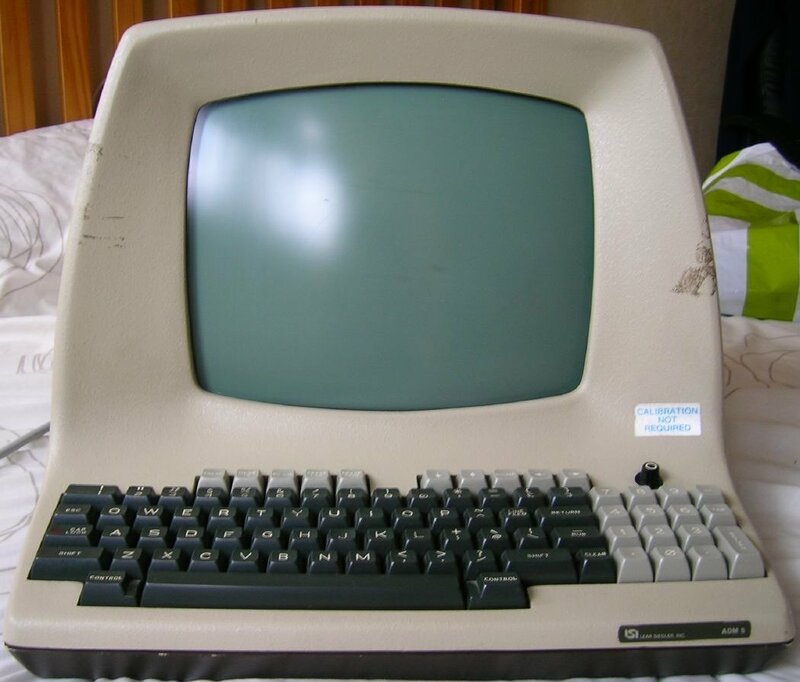 In my experience, many firms are squeezing the last bit of value from pre-2003 technology as much as possible. Even though it is often to our detriment- with constant debugging, restarts, freezing, and overall technical service time vacuums. The old adage, we are creatures of habit, largely informs this slow rate of change. However, I think as our lives require the daily use of blended computers, cell-phones, tablets, etc., and the improvement of software reliability, speedier adoption of new technology will be the norm. How Can You Not Like OK Magazine? Comments Off on How Can You Not Like OK Magazine? The other day, in line at the grocery store, I was debating the proverbial question: “What trashy magazine do I buy to balance this New York Times?” When I saw that OK Magazine was advertising more content for half the price of US Weekly and that I could read all about Khloe Kardashian and Lamar Odom on their new free iPad app! Without question, I was instantly drawn to the promise of more content for less money. It seems that what is good enough for gossip news must also be good enough for legal news, as Justia.com and Oyez.org have recently announced that they intend to redesign parts of their websites to attract more users in the legal community. In the coming months these sites will be unveiling new looks along with a slate of free-to-use additional features. Also on the plate are mobile applications for better access. During library training, for our first group of summer associates, I was introduced to a new technology that is gaining traction in at least one law school. H2O is a product of the Berkman Center for Internet & Society at Harvard. At its core, H2O is basically a free online digital casebook. But the concept could easily spread and gain acceptance and popularity outside of law schools as a more general legal wiki, for examples see Communications Decency Act or Remix Culture. The cornerstone of H2O is the “playlist”. A playlist is a shared grouping of articles and other content on a particular topic, and is a primer or research guide of sorts. Other components of H2O are more specific to an academic or collaborative learning setting. The question tool allows users to submit questions or discussion points to be considered for conferences and classes and provides a more focused approach to connect speakers to audiences. “Collage”, a tool recently added to H2O platform, provides a way to annotate a primary document (e.g. highlighting specific legal concepts at play in a case and hiding other non-essential text without changing the original document). 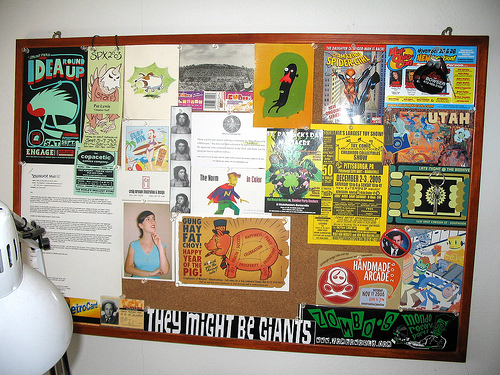 “Rotisserie” is the discussion or message board component of H2O. I do not know how often this will come in handy for me but it is another resource in the toolbox! I’ve been investigating apps for the iPad-toting attorneys in my office. One legal research app has really impressed me with its coverage (national), interface (clean) and cost (free!). Fastcase is the app you’ll wish you had on your desktop–and if you happen to be a member of the Oregon Bar, you do (see the OSB site for more information). It’s a great option when you want to take a quick look at a case or statute without incurring client charges. The interface is intuitive and streamlined, with no cluttered screens to navigate or commands to memorize. You can pull up state and federal cases using keywords or a citation. Too many hits in your search result? Narrow the field by jurisdiction or date, or change the sort order to browse more efficiently. The US Code and most state statutes are available too–get what you need by browsing, searching, or a entering a citation. Tap “Save” if you pull up a document you want to refer to later. 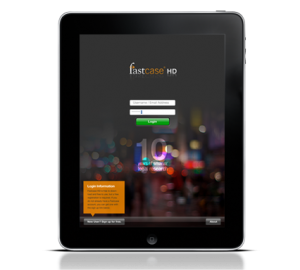 The basic Fastcase app is free to download and use, and works on iPhone or iPad. You’ll need to register for an account, but it’s painless. I’m not the only librarian to be impressed. 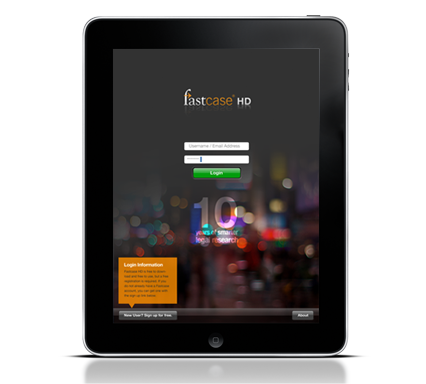 The Fastcase app won AALL’s New Product of the Year Award in 2010.